Fast forward a few days from now to that inevitable leftover turkey staring you down in your fridge as you ponder what wondrous midnight snack you can make with it. 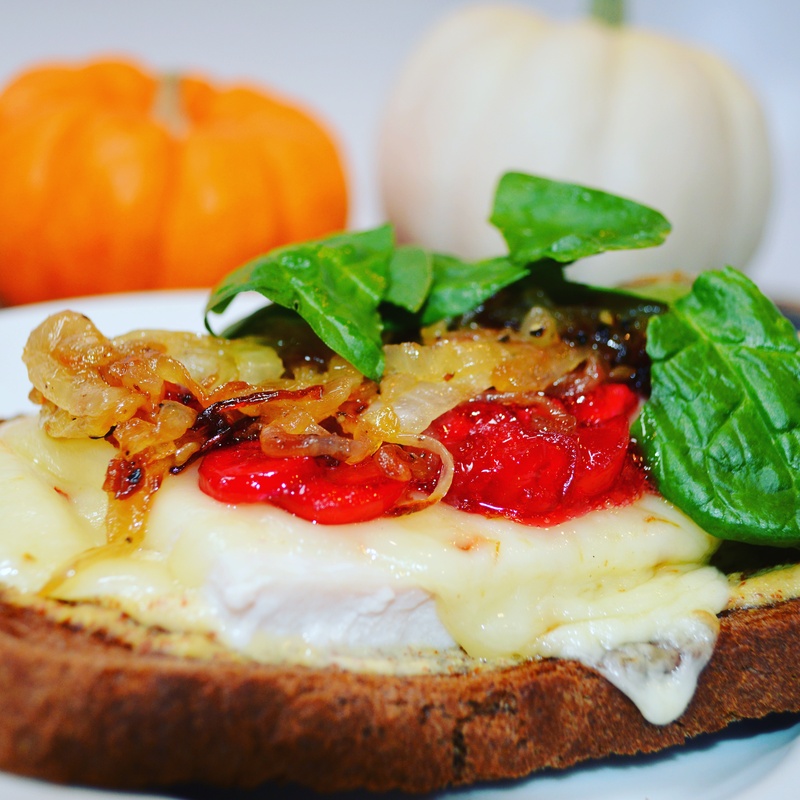 Sure, the classic cranberry and cream cheese sandwich comes to mind but why not try a new leftover turkey sandwich with a fresh twist? This ultimate leftover turkey sandwich comes to life with caramelized onions, fresh spinach, and a creamy mustard and horseradish sauce that may just change your whole view on leftover turkey. Try it once and you might not ever go back….. If you are anything like me you got a bigger bird than you needed just so you could have some leftovers. Hopefully it is still juicy and not overcooked – but that’s another blog. Lets get back to the leftovers. The question is how to transform turkey into something completely different than what you had on Thursday. Caramelized onions are really, really go place to start. Sure, they take a few minutes, but the flavor is worth it. 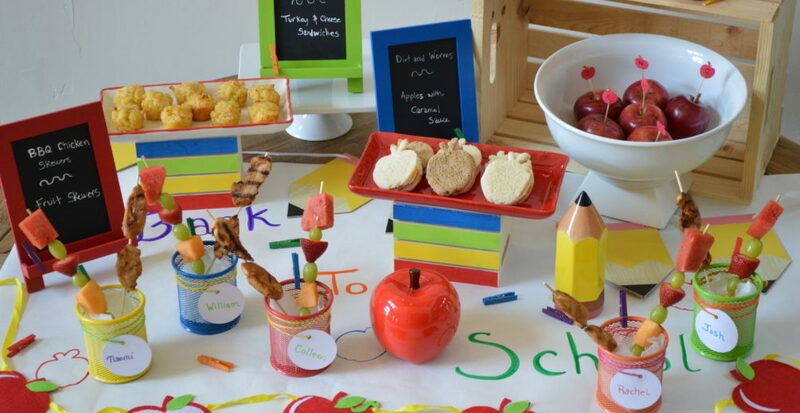 And if you plan ahead these can be done on the same day as you do the turkey! 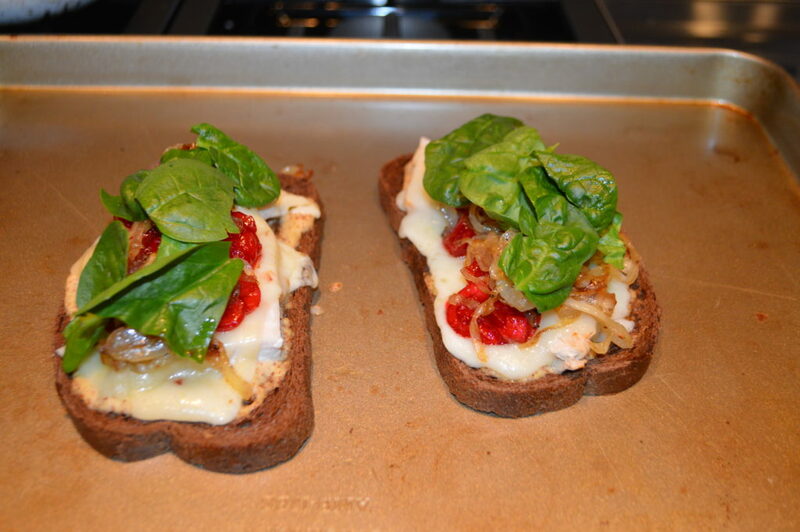 Then layer on the flavor with pepper jack or provolone cheese and some fresh spinach to lighten things up a bit. 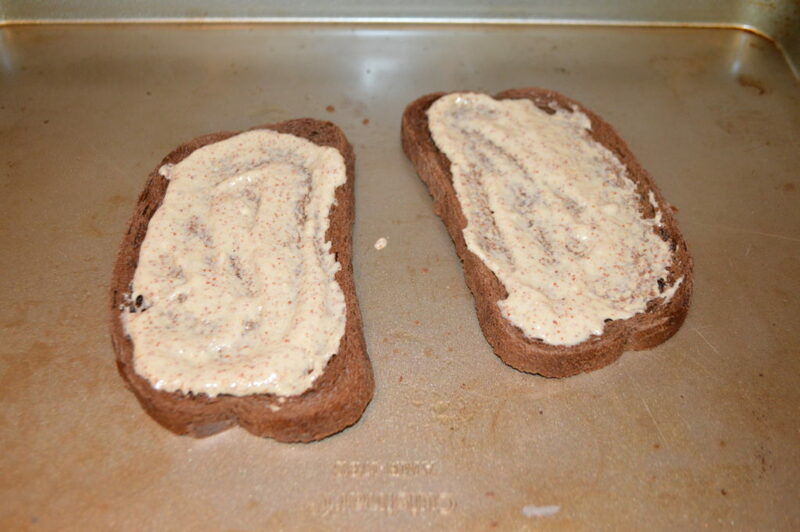 The horseradish and mustard sauce is a good addition but what I really love is that dark rye bread. It’s hearty and healthy at the same time. Pumpernickel would work great, too. 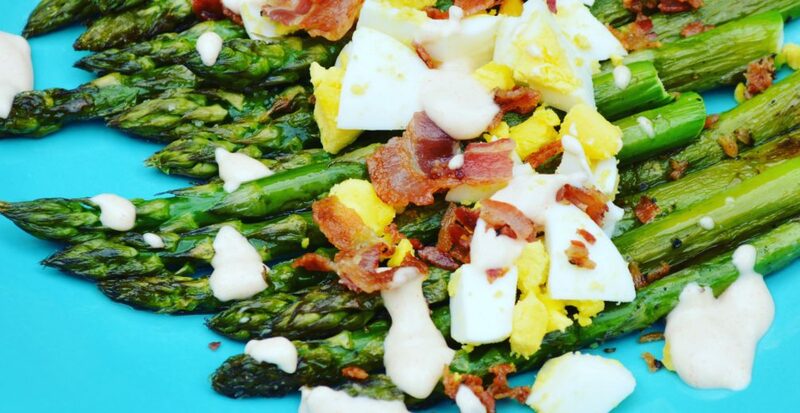 Here’s the low down on this fabulous leftover sandwich . 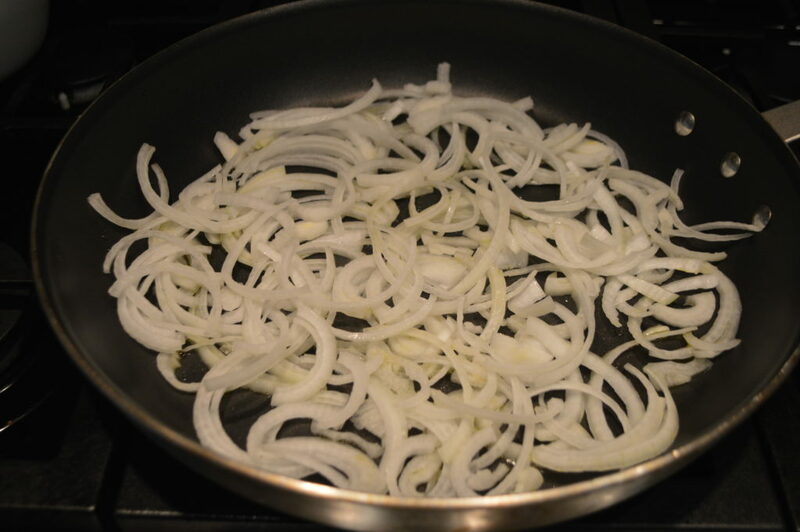 Start with the best ingredients…..
Then begin by caramelizing the onions. Remember this can be done a day or two ahead and stored in an airtight container in the fridge which makes leftover day even easier! A large pan and a single layer is key. A pinch of sugar helps achieve a nice golden color, too. After about 20-25 minutes on low and slow you should have a nice deep, golden brown color. 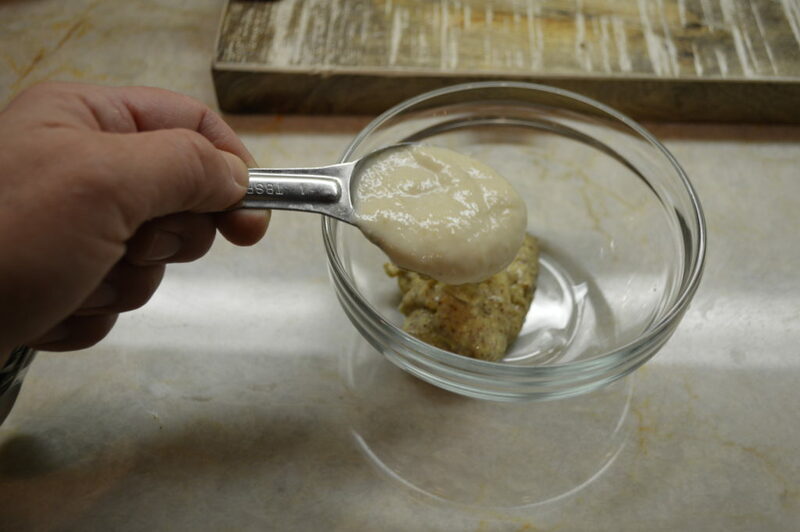 Then add the prepared horseradish…. Whisk to combine and you are done! Again, this step can be made ahead and stored in the fridge. And make extra in case you want to eat it on everything. 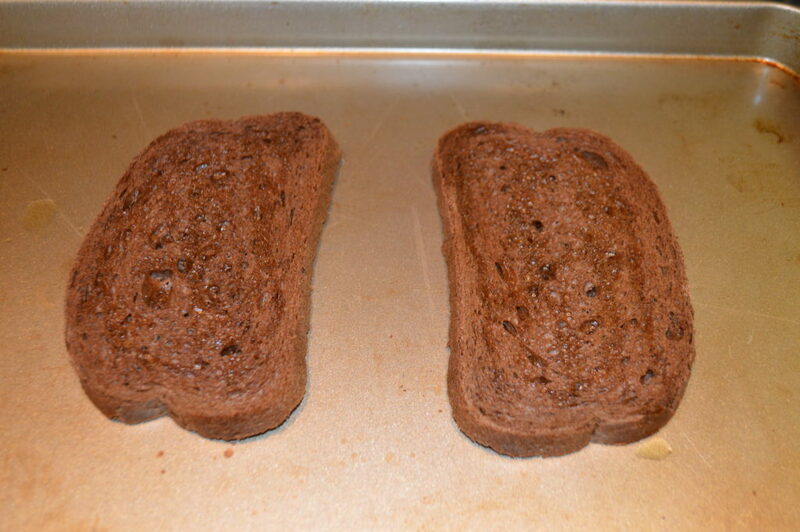 Toast your bread in the oven or toaster. I used dark rye. 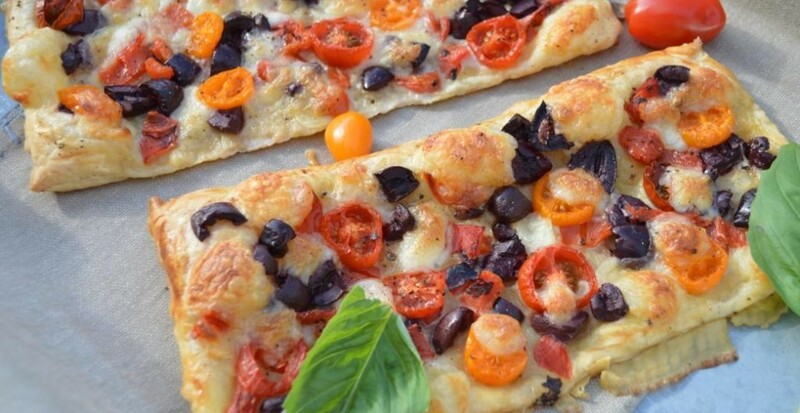 You can use any kind of bread you like. I brushed mine with olive oil and put it under the broiler for a minute or two but the toaster oven or toaster is just fine, too. Slather on that sauce. And I do mean slather….. 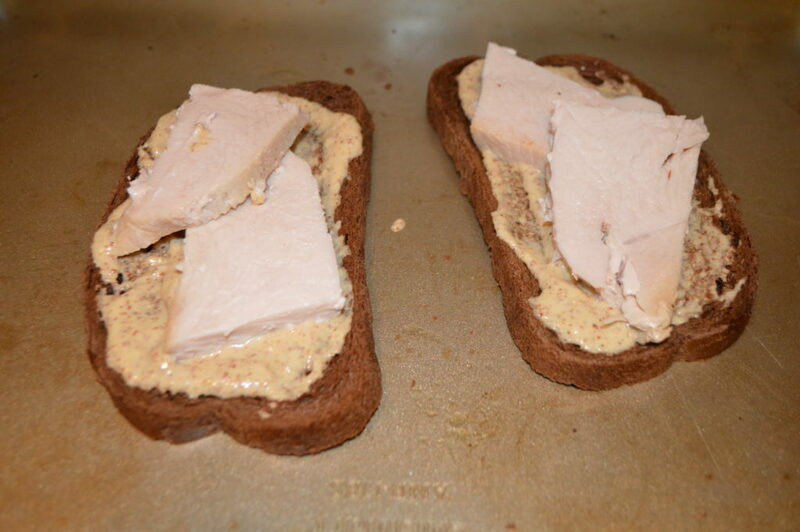 Put about 2 pieces of leftover turkey on each open -faced slice. And top with not one but TWO slices of cheese. 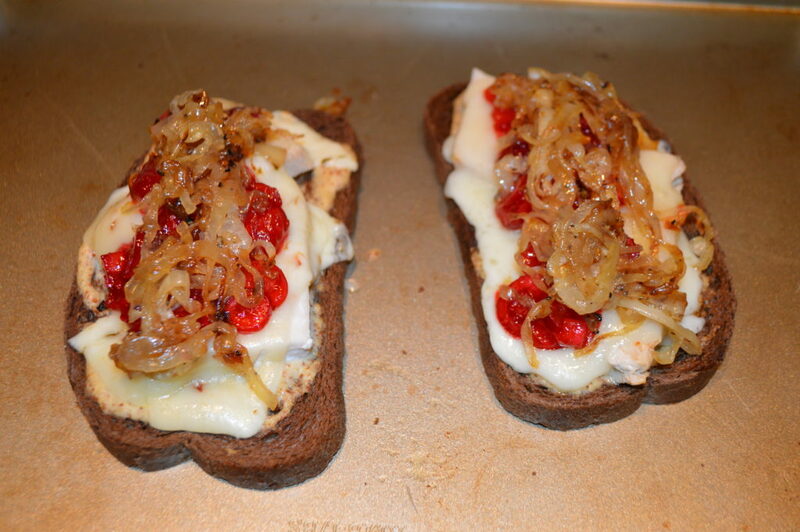 You can go with the pepper jack if you like a little kick (which I do) or the provolone if you don’t. Then place on a sheet pan under the broiler until the cheese is all melty and gooey. 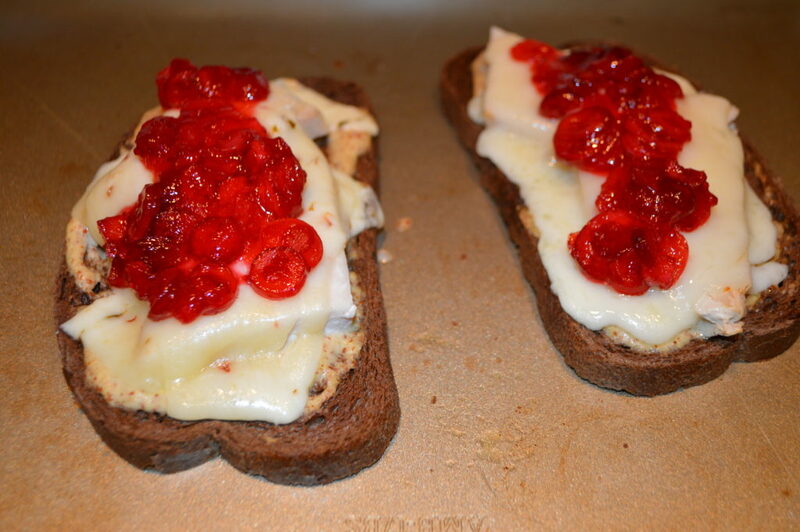 Then top with some of that leftover cranberry sauce for a bit of tartness that really makes the sandwich. 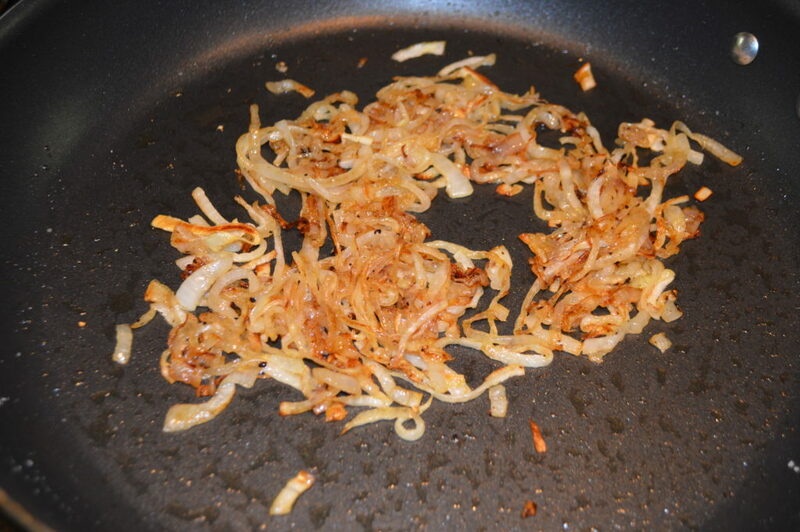 And of course those delicious caramelized onions…. And finish with a bit of fresh baby spinach to lighten things up! 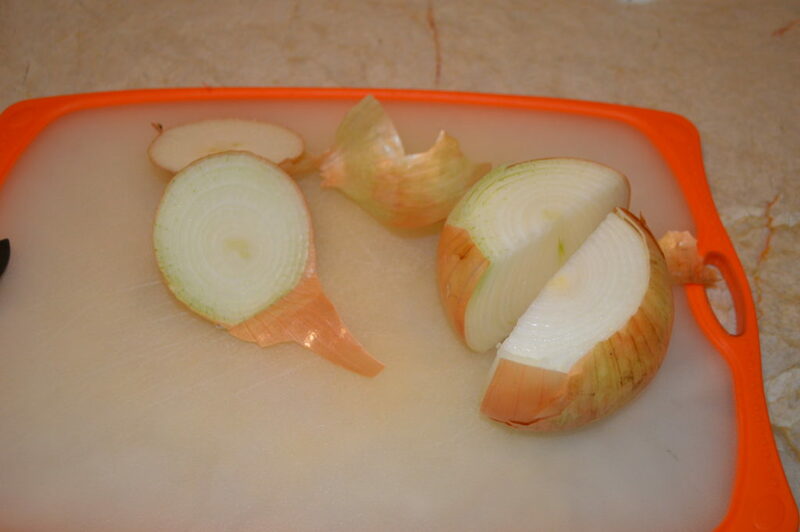 Remove the ends from the onion and peel and cut in half. 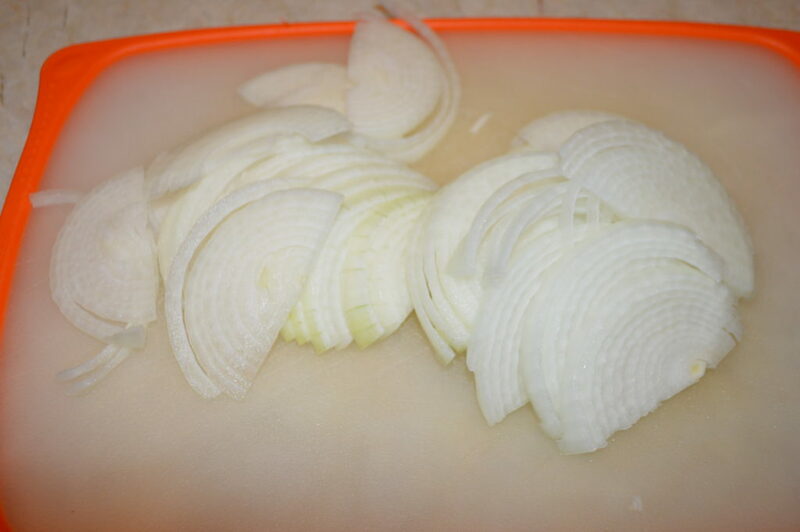 Cut onion into equal 1/4 inch slices. 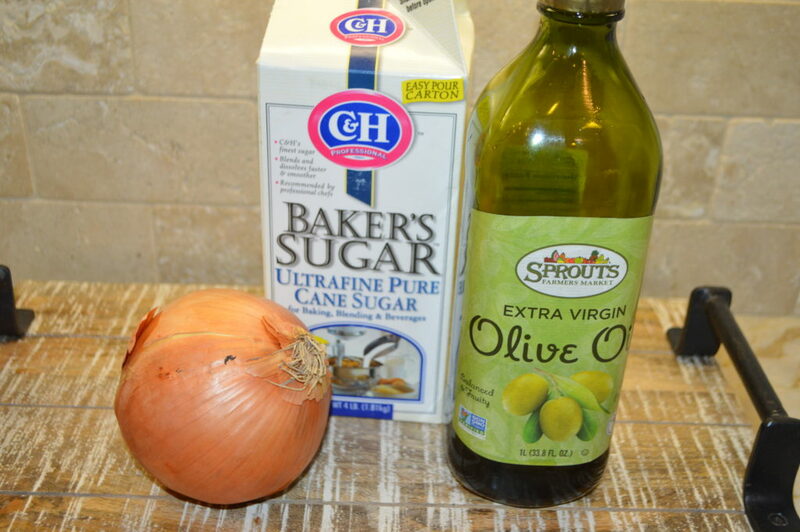 Heat a large saute pan over medium heat and add 1 Tablespoon of olive oil. Then arrange the onions in a single layer and season with the sugar and a little salt and pepper. Cook over medium to medium low for 20-25 minutes until golden brown, stirring as needed but not often. Remove and set aside or refrigerate. 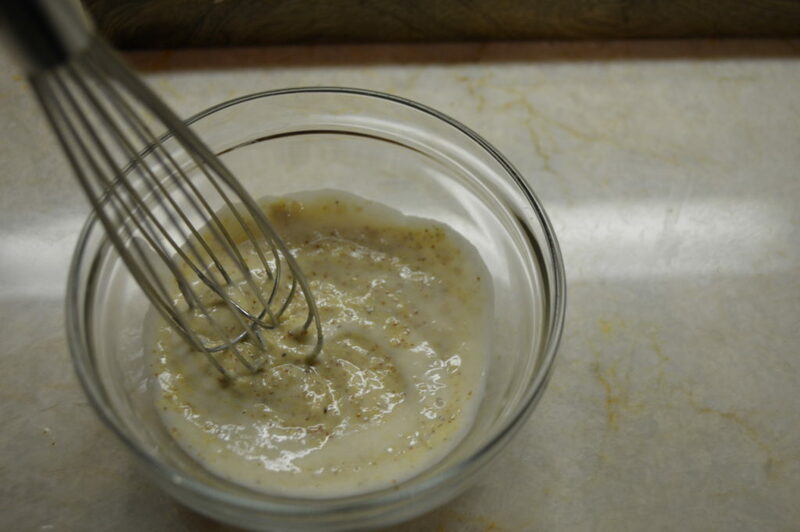 Make the sauce by whisking together the mustard and horseradish. Set aside or refrigerate up to three days ahead. 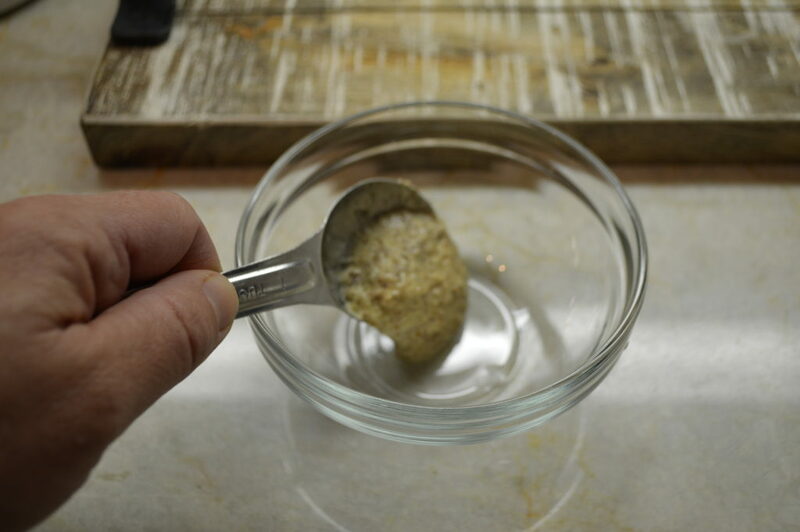 Toast the bread by drizzling with the last tablespoon of olive oil and placing on a sheet pan under the broiler. Or use the toaster oven. 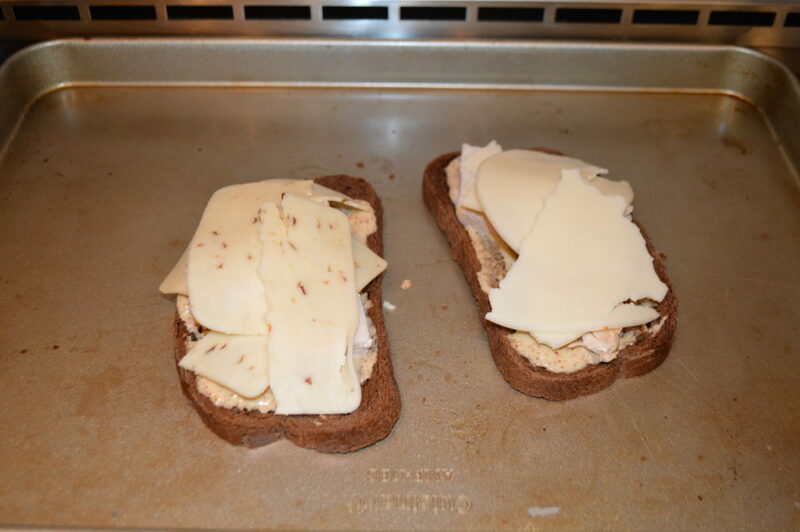 Assemble the sandwich by slathering on the sauce, then the turkey slices, then the cheese. 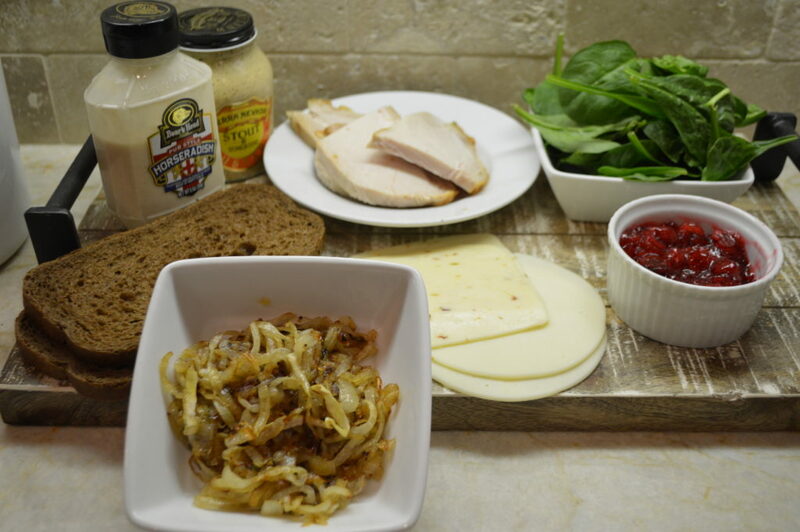 Melt the cheese under the broiler then top with caramelized onions, cranberry sauce and fresh baby spinach.